An old proverb says: Mastering the tools is 3/4 of mastering the craft. Know your press and it would make you golden pills. I do enjoy mine, particularly with the case-feeder. If I could turn back time I would never have bought my LnL AP but I have come to terms with it. 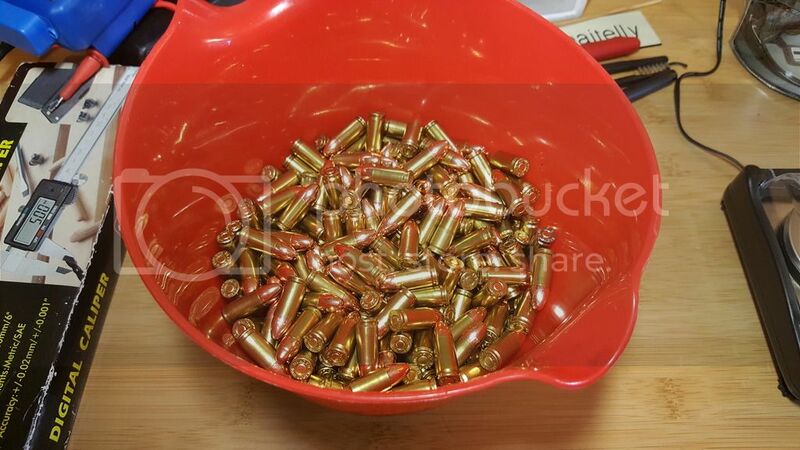 I've processed 6 or 7 thousand rounds of .45 ACP, close to 3,000 rounds of 9mm and about 1,000 .223. My next splurge will be a Case Pro 100. Then I hope to step up to a Super 1050.
warnmar10 wrote: If I could turn back time I would never have bought my LnL AP but I have come to terms with it. I've processed 6 or 7 thousand rounds of .45 ACP, close to 3,000 rounds of 9mm and about 1,000 .223.
all plastic tube are not that great. Someone has to come up with super smooth polymer base tubes. I like it! Mine will run like that too. For a while. I don't have a bullet collator, I'll probably make my own eventually. I have the kit that adapts a Lee tube feeder to a Hornady bullet feeder die. I don't use them though. I can run close to your speed manually feeding bullets and loading the tubes is a pain. I did manage to refine the finish of the Hornady feeder collets so that it will feed about anything you throw at it. Out of the box it handled jacketed bullets great but didn't like plated or lead. It still double feeds plated semi-wadcutters every now and then but everything else runs well. I ripped the stick on led lights off and threw them away. Same with the little center light I bought from Inline. In their place I have a couple of Rockwell tool lamps with 40w equiv LED pure white lamps. Similar to your lamp only one on each side and possibly a little brighter. I have the Hornady electronics kit but I took it off too. The only thing I'm still using is the Hornady lockout die. I'm curious, have you ever taken a grease gun to the zerks on your LnL? 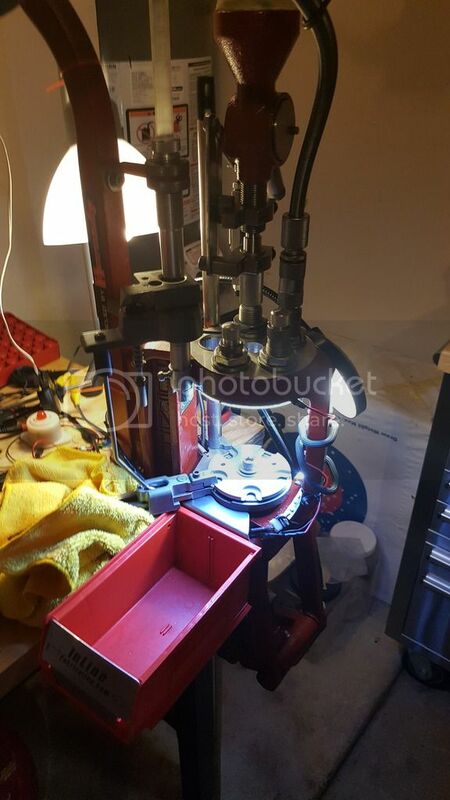 I lubed mine attaching the grease gun and pumping very slowly until grease ran out evenly around the ram and through pins and then cleaned up the excess. (Lube the ram with the ram fully up. Grease will fill that grove in the ram.) It completely changed the way the press behaves. For lack of a better term, it feels more precise. If you haven't, try it and if you have I wish you had told me. press making it necessary to clean frequently. Use any wet lubes spraringly and wipe off the excess. Mine got more than a couple of shots in the grease groove, more like 5 or 6 but that's me. I got the grease gun and it took 2-3 shots to get the grease flowing and it is now silently smooth. Beiruty wrote: I got the grease gun and it took 2-3 shots to get the grease flowing and it is now silently smooth. Silence is golden. I wish I had done it sooner.